By now you know that my family’s favourite go to snack is the Lion bar…which is my own version of the Lara Bar. 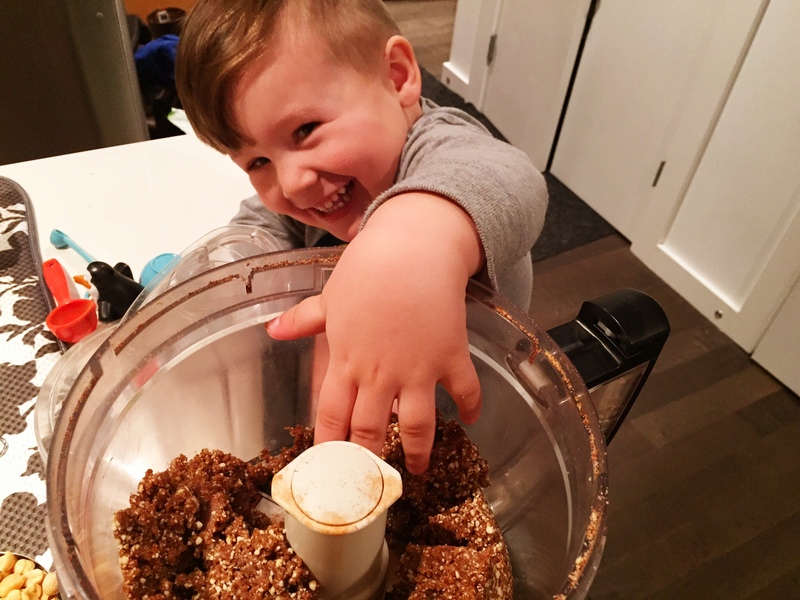 I have explained this in previous posts but just in case you are new to the moody little kitchen, I named them ‘Lion’ Bars because my little lion often helps me in the kitchen and he loves making these tasty treats. It’s also my rouse to get him ready and in to the car in the morning muwwwahhhh haaaa haaaa. I make tonnes of different flavours of these packable little flavour bombs but this time, we are going ALL OUT FESTIVE. You can tell most of my posts this month have been something Festive and Christmas themed so it was only fitting that I make a few festive flavours. Stay tuned, i’m working on another seasonal flavour which I should post about soon. Today is all about the Gingerbread flavour and having a somewhat healthy and tasty festive treat!! 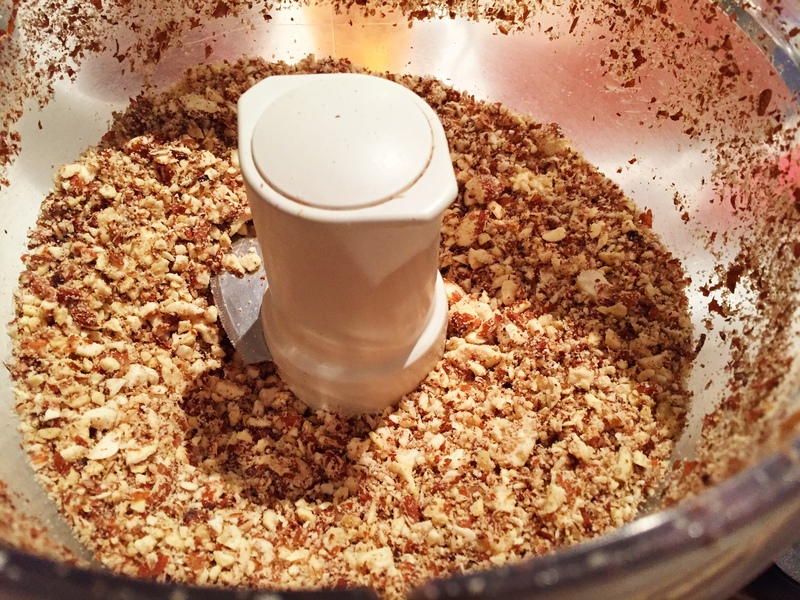 You know the drill…Pulse your nuts in a food processor, this time we are using both almonds and pecans. Pulse until they are completely chopped to almost a course flour like consistency. 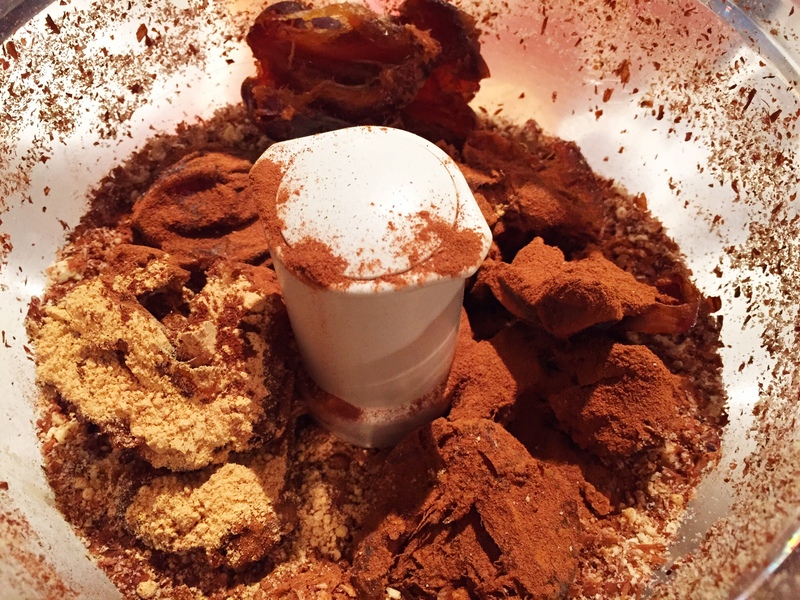 Next add your pitted dates and spices ( ginger, cinnamon, cloves) and pulse until completely chopped and mixed together. 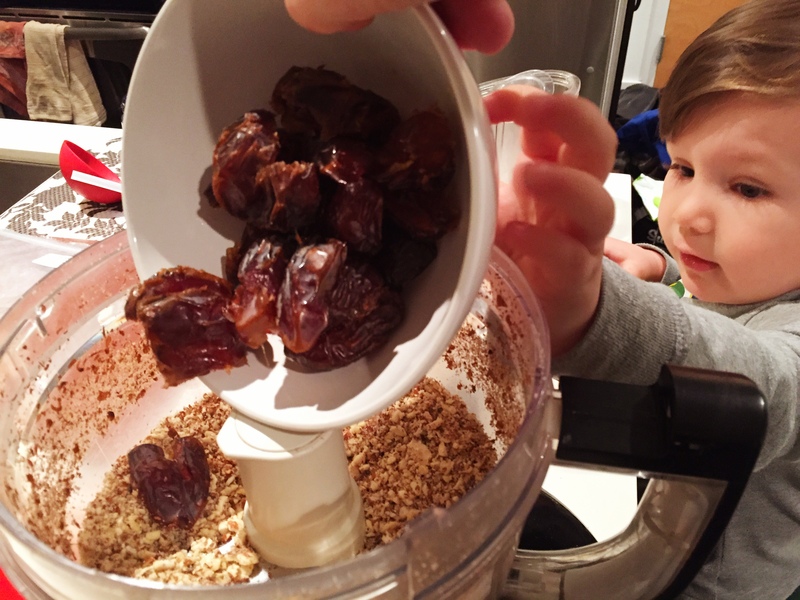 The mixture will ball together in the food processor and start to jump around the bowl. Press the mixture in to a square pan until it is evenly spread out. Use a cup or a roller to smooth it out. We have a very rigorous quality assurance program going on in our house!! 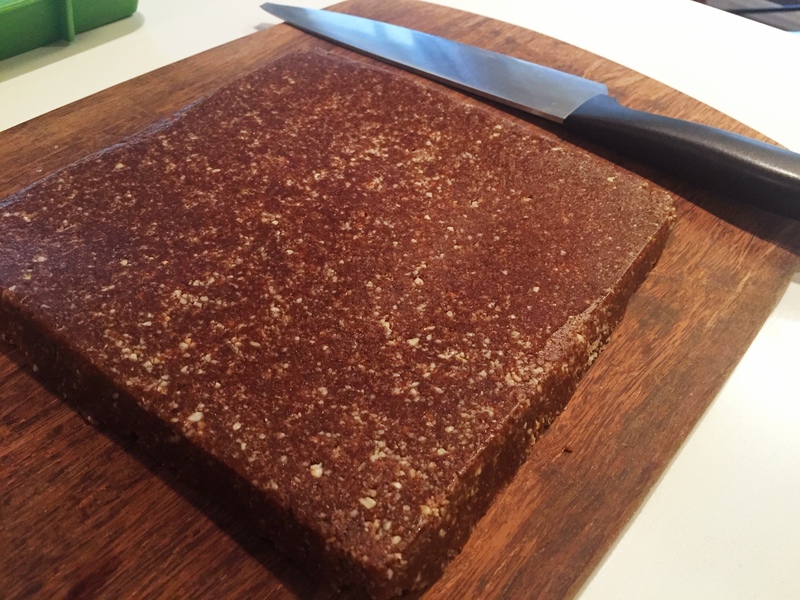 Place in the fridge for a few hours and then cut in to 8-10 bars (depending on how big you want them to be). I always individually wrap mine in saran wrap so they are easy to grab and go for those tough mornings or to throw in to my lunch bag. 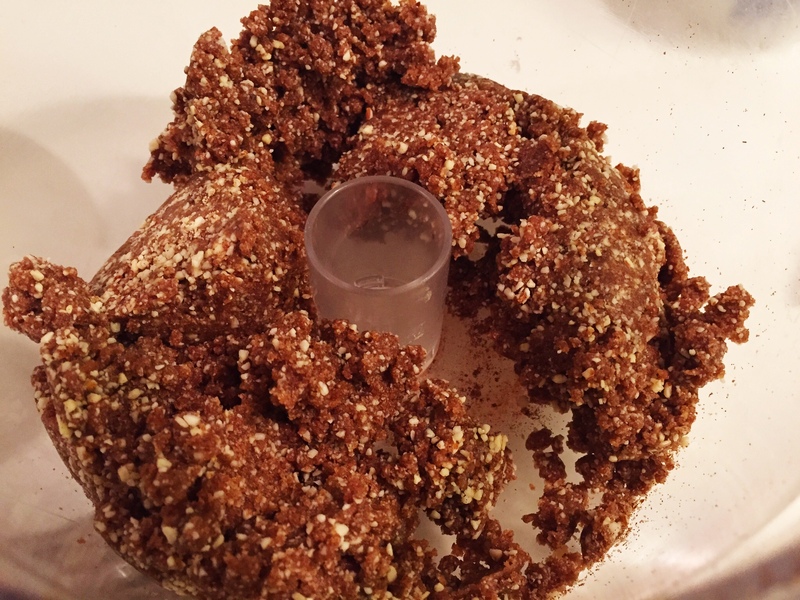 Add dates and spices and pulse until they are fully combined and clump in to a ball and start to jump around the food processor. Remove from fridge and cut in to bars. Individually wrap and leave in your fridge for a grab and go snack. 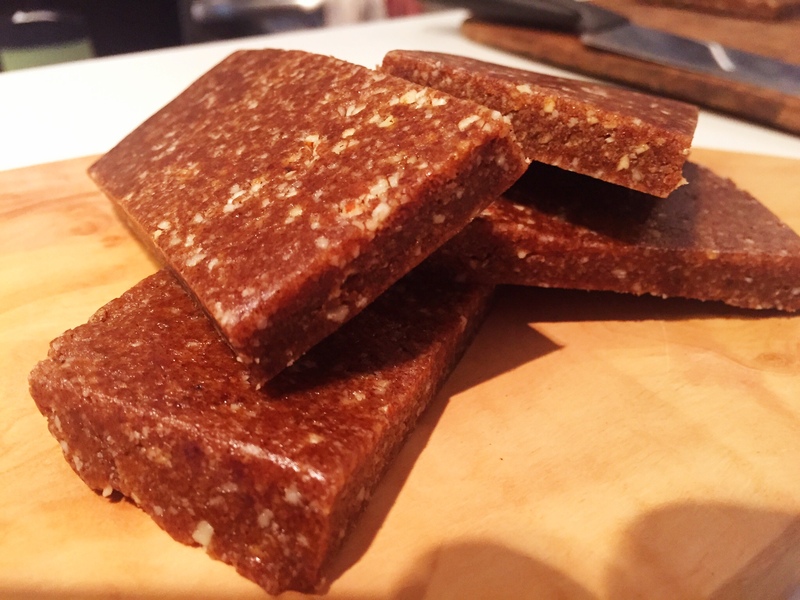 Enjoy this festive version of the lion bar!! They have the right amount of spice and gingerbread flavour with all of the healthy goodness of dates and nuts. Made these today and they’re so tasty! I realized my food processor is garbage during the process. I had to scoop out the dates to soften them in boiling water in order to chop them up. The bars don’t look the same as yours but they taste pretty darn good. That’s great. 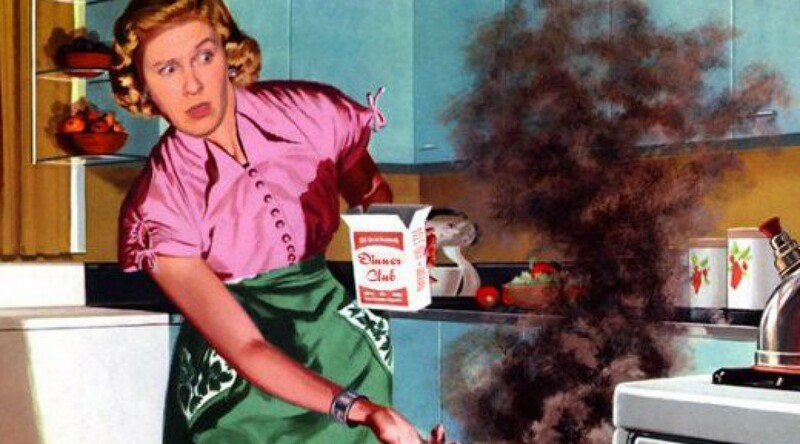 Thanks for trying this recipe and for sending your feedback. Appreciate it. We make a lot of lion bars around here and love how portable they are.